I was browsing facebook this morning and noticed the prettiest lavender wand sachet made by Irina from Belarus (JewelryFloren). 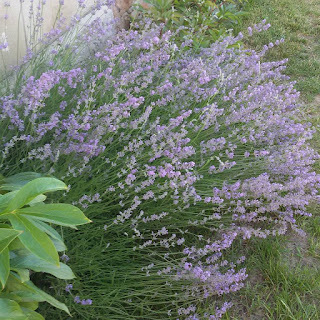 She got so many blooms this year that she was able to make 25 pretty sticks from just 2 lavender bushes. I love this idea because all the sweet buds stay inside after the stick has dried out and it still will look pretty and ready to do its job to refresh your linen closet or dresser draw. 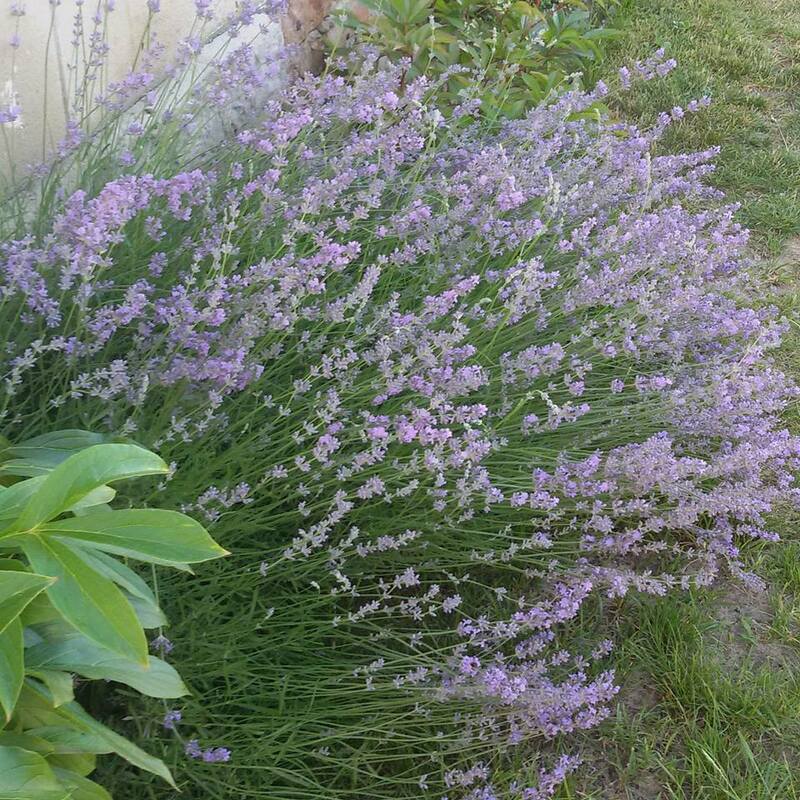 The idea of "La bouteille de lavande" came from France where lavender is a part of culture and history. Oh so romantic! All you need to make 1 stick like this is about 25 to 30 lavender stems, 2 1/2 yards of narrow satin ribbon (about 1/4" wide) in your favorite color and a sewing thread. 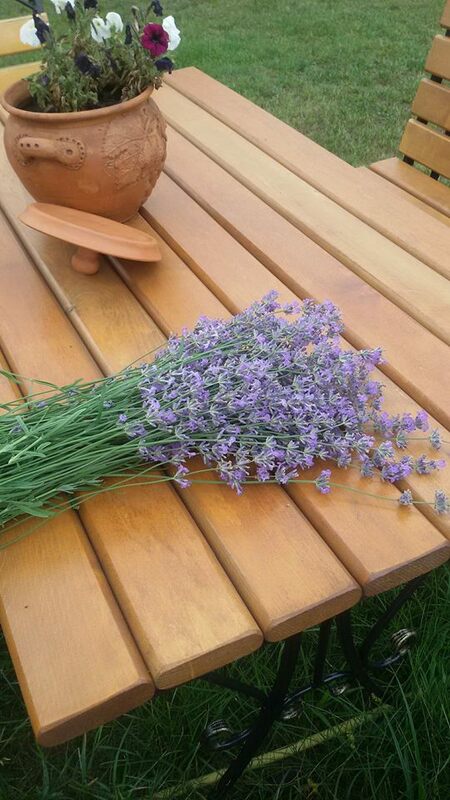 Сlean your lavender stems from the leaves and bottom flowers. 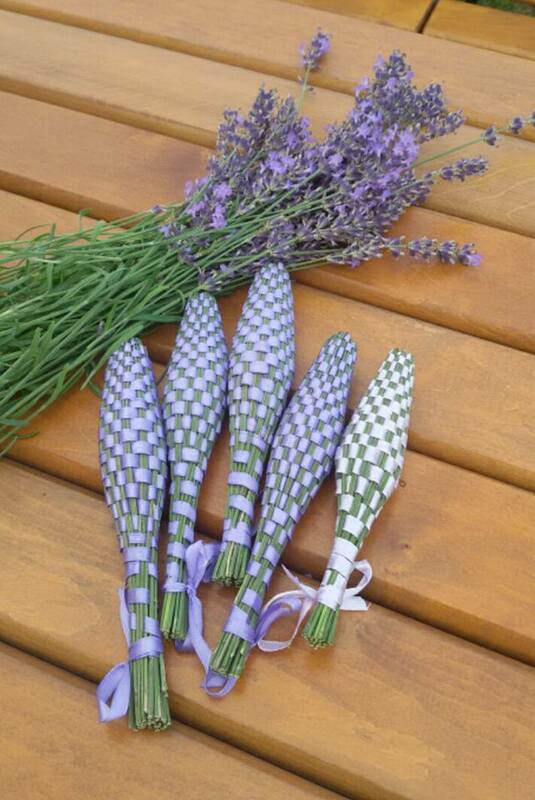 Gather them together and tie the stems tight right under the flower heads with a sewing thread. 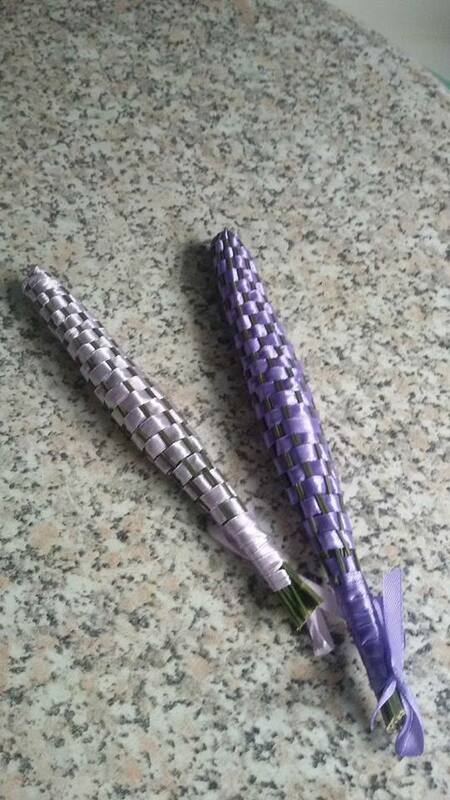 Now, bend the stems to the sides to cage the flower heads inside. Run one end of the ribbon along side the flowers to poke out of the bottom of the flower cage. 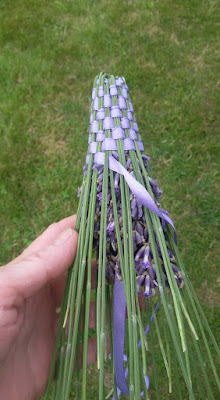 Tie your pretty satin ribbon on top of sewing thread and start weaving the other loose end of the ribbon around the top of flower cage using basic under-and-over basket weaving technique. Push the sticking-out flowers back to cage with a toothpick. Keep weaving tightly (very important since the lavender will shrink as it dries) to get a bottle shape. Tie both ribbon ends tight around the base a few times and make a pretty bow. Voilà! It's ready to use, just let it dry and enjoy! Thank you, Irina, for this great idea!